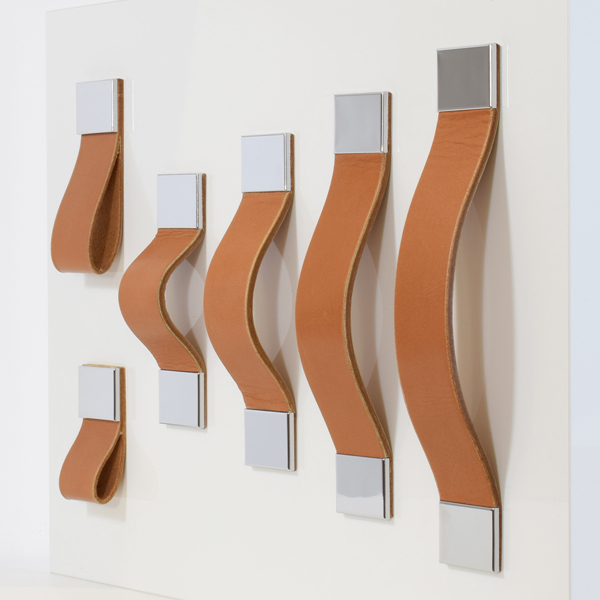 MONACO-2-PURE - Size L - the original furniture handle made of leather! With the original furniture handle MONACO-2-PURE in size L, you will achieve maximum individuality for your interior design. He is a special eye-catcher, fits in with classic design everywhere and still attracts everyone's attention. Chests of drawers with many drawers, he beautifies just as cabinet doors or kitchen fronts. Its sturdy smooth leather is sturdy and easy to clean, making it ideal for use in the kitchen or bathroom. 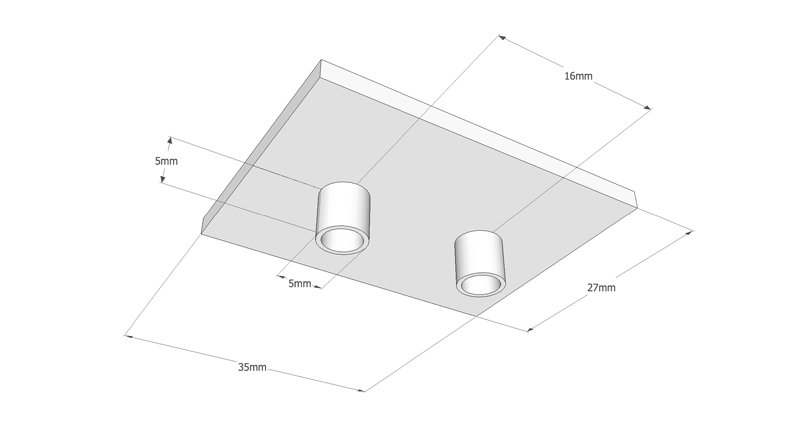 2 different decorative mounting plates, optionally chrome high-gloss or nickel-plated matt. First-class European cowhide in saddler quality (relatively firm and dimensionally stable feel). The leather used comes mainly from renowned Italian traditional tanneries. Per handle 4 screws M4 x 20mm are supplied, suitable for fronts 16 - 19mm. 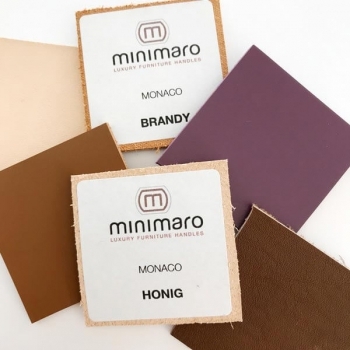 Overview of leather colors for furniture handles of the series MONACO. Two M4 screws are supplied per handle, suitable for fronts 16 - 19mm.